I fixed this over 6 months ago, but I forgot to blog about it then and only just remembered. When I first got my HTC HD7 Windows Phone 7 device I discovered the Zune sync didn’t work for getting photo’s and video off the phone. I could get stuff onto it fine, music synced fine, and all the app stuff worked, just no pictures/video came off the phone. Apparently I wasn’t alone, it appears a number of HTC users have had the same problem. I tried a number of Google searches for a solution but didn’t find any quick answers on how to fix it. Eventually I stumbled upon the post I linked above at the Microsoft Answers site and after digging through the posts I found the solution. Apparently the problem is to do with file associations for images and video on the PC (nothing to do with the phone). I had jpg and other image files set to be opened with an old copy of Paint Shop Pro I bought years ago, not the default programs Windows normally has associated with these file types. Once I reset the file associations for the images and video, the sync starting working again. I’ve since been able to reset Paint Shop Pro to be associated with those file types again, and the sync is still working. So, if you’re having this problem, try resetting your file associations for the afflicted media file types. A reboot before attempting to sync again may also be required (I can’t recall now). WARNING: Altering your registry incorrectly can cause serious problems with your Windows operating system. If you are not confident of your ability to make these changes or recover from a serious software failure, get someone more experienced to help you or Google for other ways to reset your file associations. Click Start , and then click All Programs. In the right-hand pane, double-click (Default). In the Value data box, enter jpegfile and then clickOK. Try to sync a photo\video taken with the phone. i can sync videos and photos...but i can not sync songs to pc.....how can i fix it? I'm afraid I haven't had any problems syncing songs and I'm not sure what your exact issue is or how to fix it. You need to use the Zune software to sync music, and to mark individual songs for syncing. If you've done that and it's still not working, I'm not sure what the problem is - do you get an error message or number of any sort ? Thank you very much for this advice. It has worked on both my HTC and Nokia Windows 7.5 devices which were exhibiting the problem. Microsoft had helpfully tried to assist me with this, but we got confused and incorrectly made the above alterations going to the HKEY_CLASSES_ROOT\.jpeg folder when it should be the HKEY_CLASSES_ROOT\.jpg folder. Only when typing in the value field under value data should you type jpegfile and then click OK.
Glad to have helped, Erick ! Yes same problem but after reading your feedback I correctly used: HKEY_CLASSES_ROOT\.jpg folder and it worked! Hours of frustraition bled away to joyful happiness. Thanks Erick and Yort for solving this problem. I've tried to fix the problem as you directed, I've find the HKEY_CLASSES_ROOT\.jpg folder and have already use jpegfile string on the default. I still cant get zune to sync with my phone. any ideas? I encountered the problem when syncing for the photos, might try uninstalling some recent picture related software. I'll post if its work. Thanks anyway, appreciate it. Thank you very much, this worked with my nokia lumia 800. Yort, thank you very much! This has been driving me mad! No problem, glad to have helped ! Happy Holidays. Thanks Yort, this problem was driving me insane for almost a year! No problem, glad to have helped again ! I have the same code error, but no with my photos. I have checked your solution for the photos and I had it right. But I have the same code error with my phone video clips. How can I fix it? 1. Check the same registry settings for video files, i.e instead of jpg look for mpg, wmv or whatever type of video is supposed to come off the phone and reset it to it's default. It could be the same problem but for video file types instead of images. 2. Try http://answers.microsoft.com/en-us/winphone and see if you can find help there. 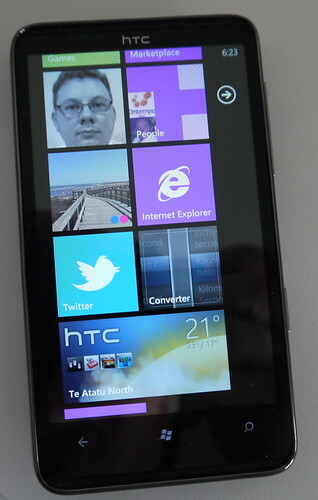 I am facing a problem while saving Videos from Phone to PC (I am using Nokia Lumia 610). An error occurred when connecting to the server. The security Information from the server couldn't be validated. To see if there's more information about this error, click Web Help. Tried option with the regedit by setting value to mpg and wmv but it dint work. I'm afraid I don't know anything about that specific problem. Maybe try the windows answers site ?